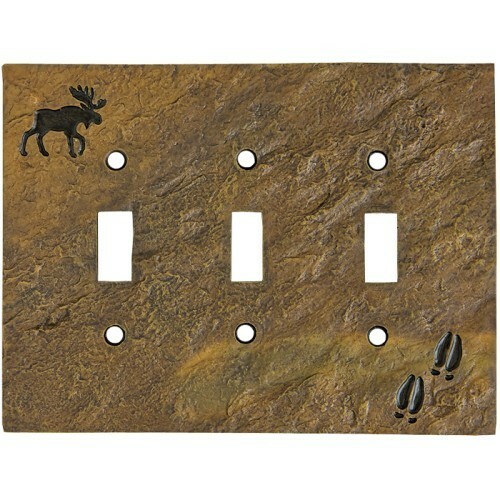 Moose & Tracks Switch Plates. 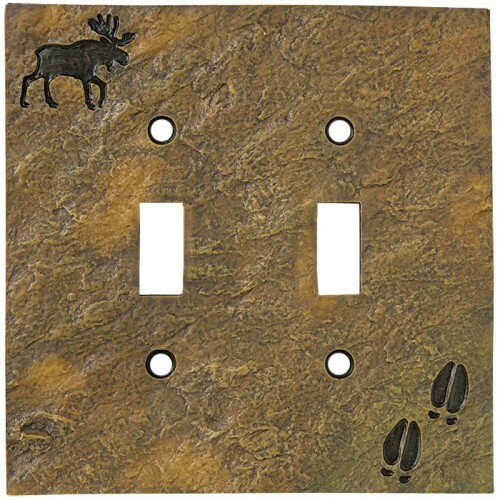 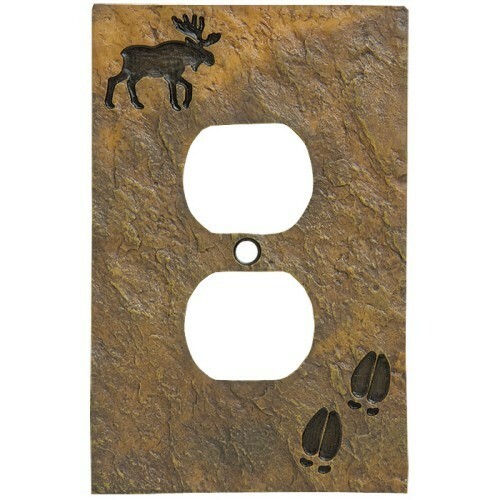 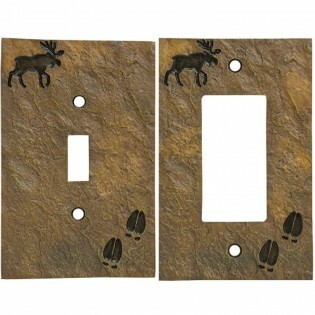 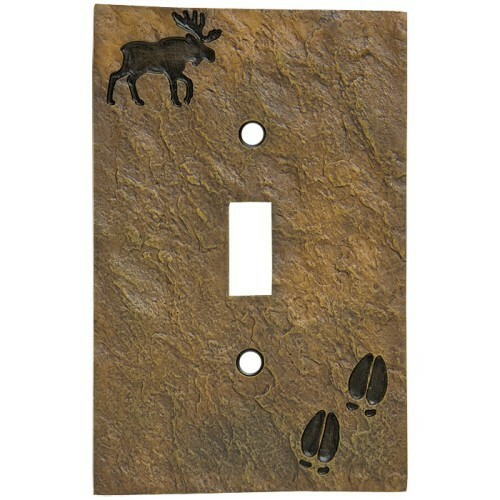 These rustic switch plate have the rugged look of stone with a moose and moose track silhouette in opposing corners. 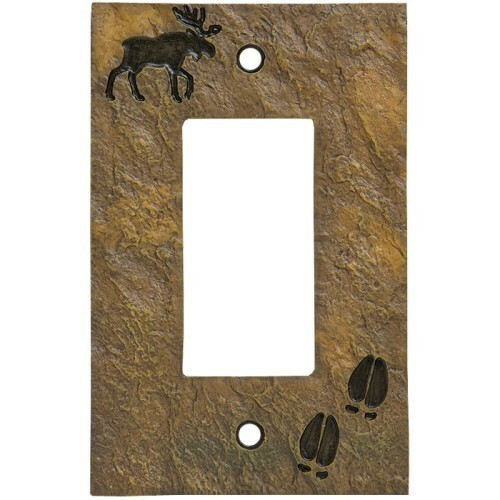 Add that up north lodge look to your rustic cabin or north woods style home with these moose switch plates. 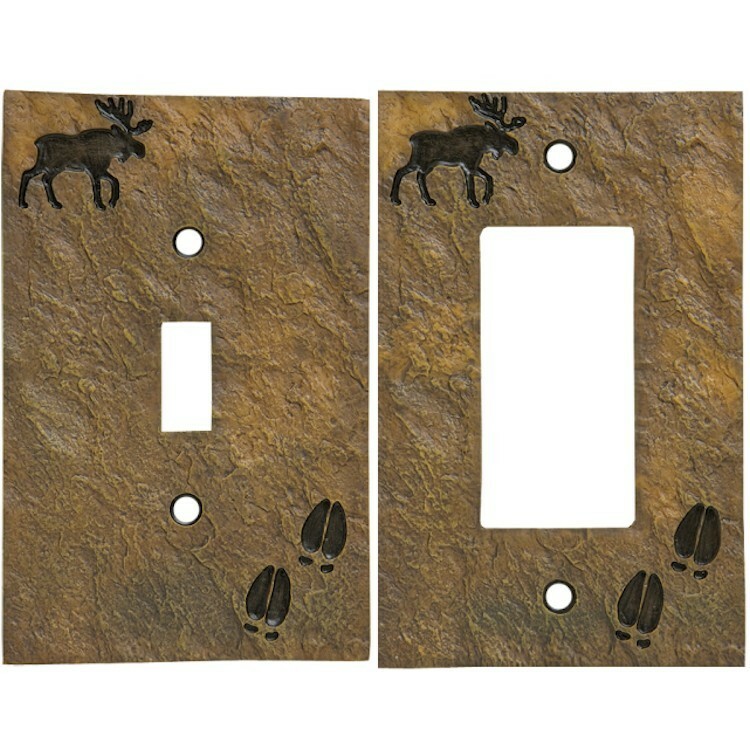 Made of resin.